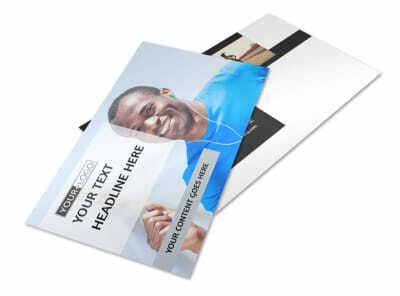 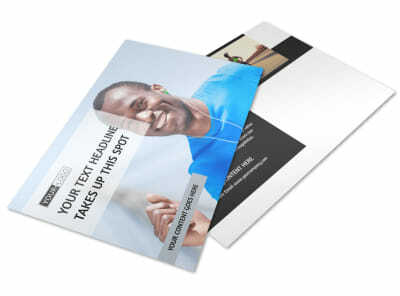 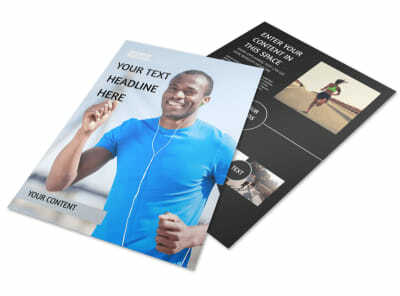 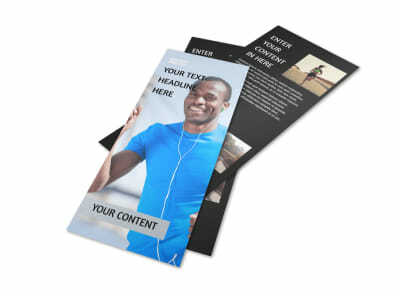 Customize our Running Clubs Brochure Template and more! 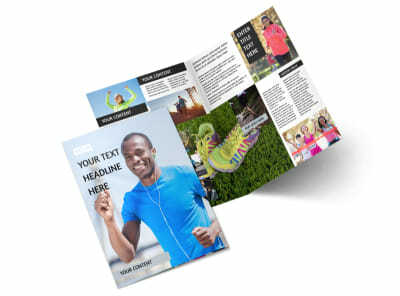 Share the benefits of running in numbers with a running clubs brochure geared at running enthusiasts looking to step up their game. 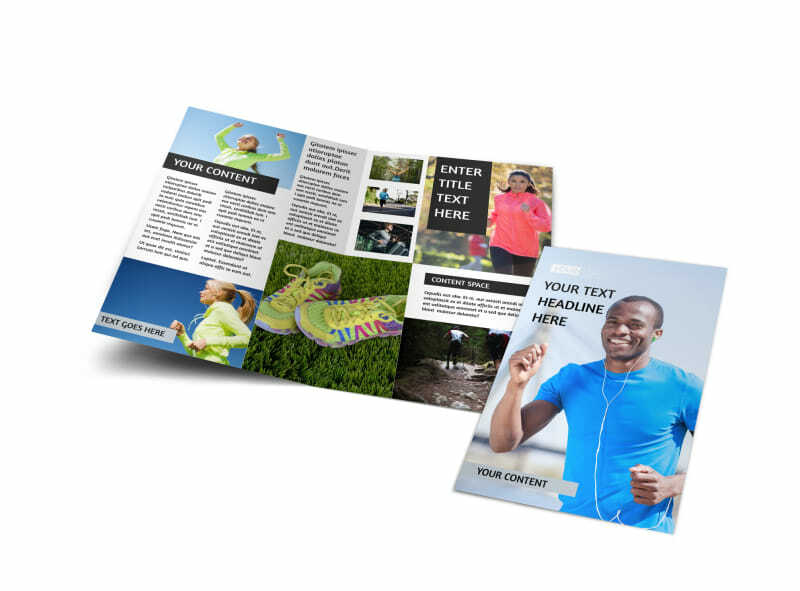 Use our online editor to customize a bifold or trifold template with images of runners inj action, details about your running club, and more. 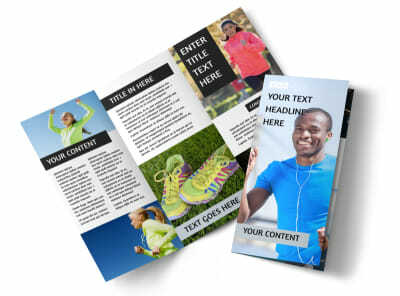 Choose a color theme and add other elements before sending your design to our printers for a professional product that you can share with others in the running world.